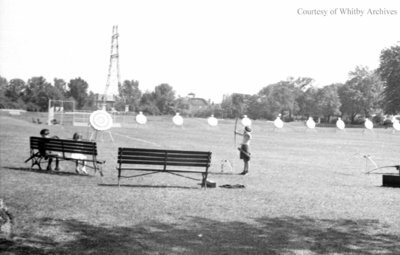 A black and white negative of a child participating in field archery. In this view two children are sitting on a bench to the left of the participant. Archery, c.1936, Marjorie Ruddy. Whitby Archives A2013_040_183C.